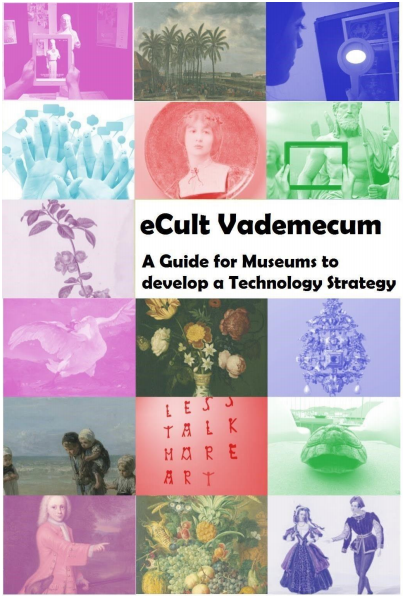 The report identifies six key trends, six significant challenges, and six important developments in technology across three adoption horizons over the next five years, giving museum leaders and staff a valuable guide for strategic technology planning. The team from meSch partner UC3M has developed a software platform called CoDICE, short for Codesigning DIgital Cutlural Encounters. 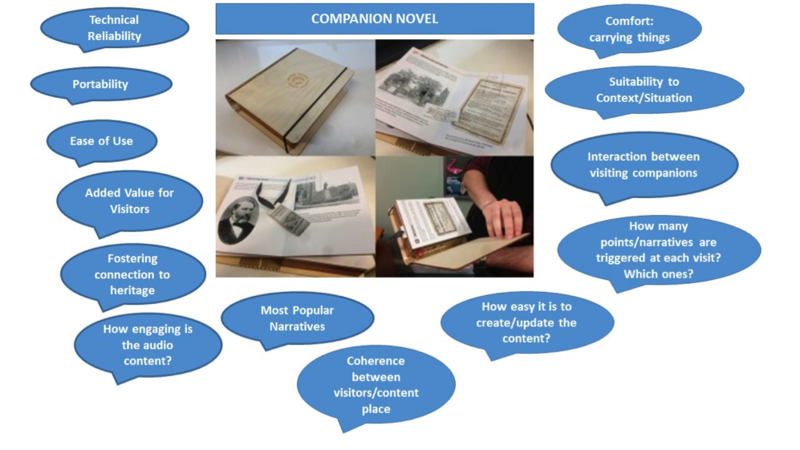 How should museums integrate new technology in their strategy? 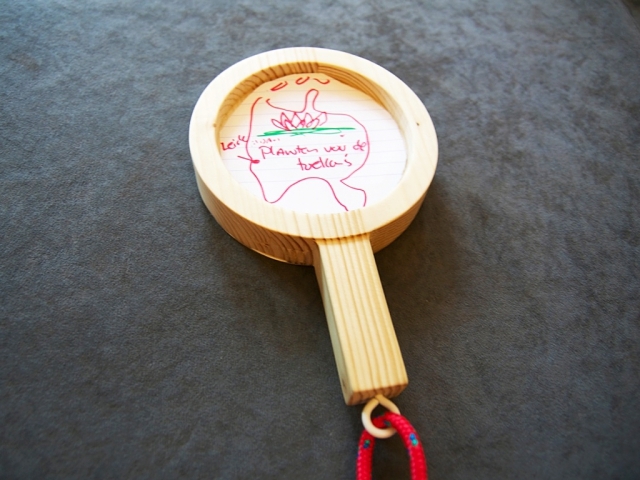 The National Museum of History in Sofia, Bulgaria is running experiments with the meSch Loupe as result of the eCultValue open call for Living Labs. 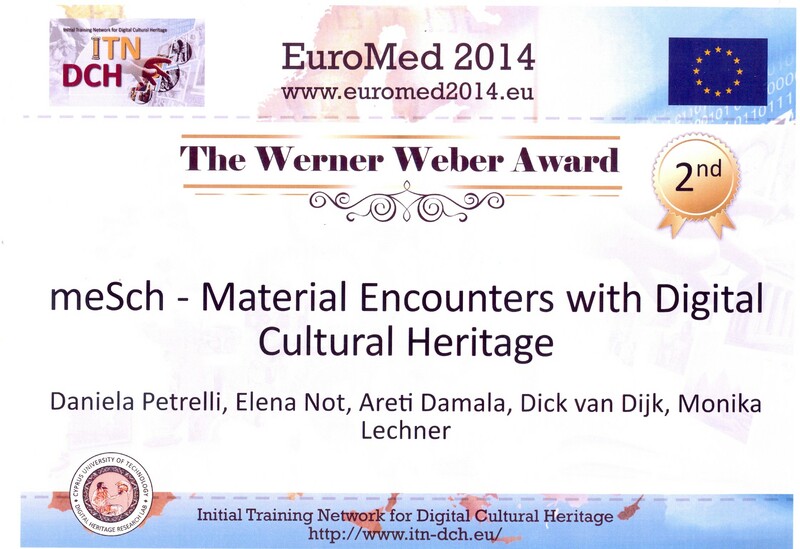 meSch won a best paper award at the Euromed Digital Heritage Conference 2014, where 438 papers were submitted in total and 158 papers were accepted. Chosen for validation through the eCultValue project, meSch technology has been selected by the National Museum of History in Sofia to experiment with. 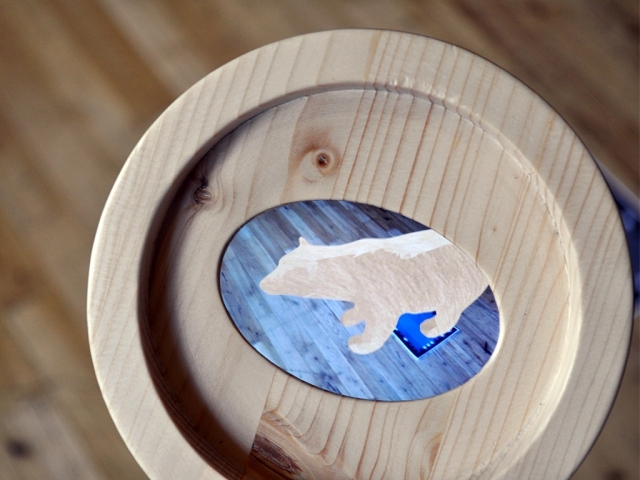 This means our Loupe will travel to Sofia for extensive testing! 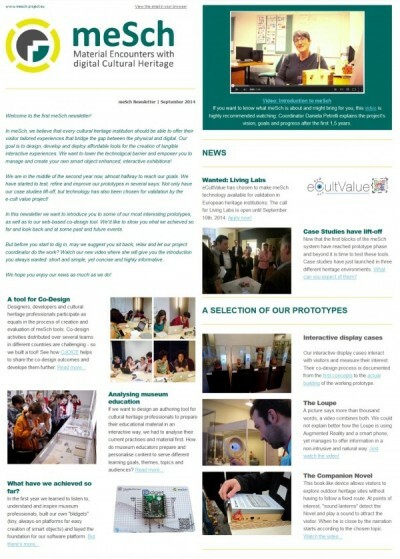 The first edition of the meSch newsletter in September 2014.